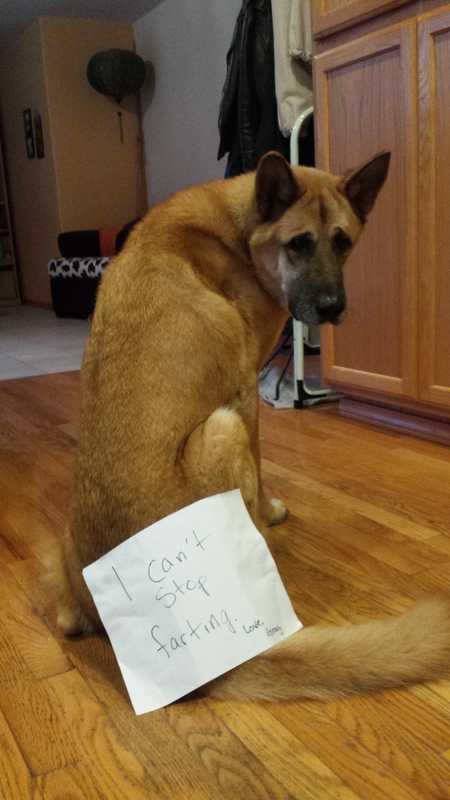 Posted March 26th, 2015 by dogkeeper & filed under Farting Furballs, Submitted. 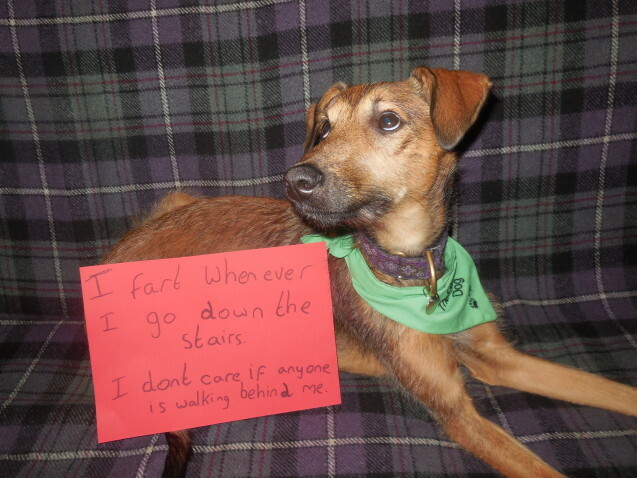 My lurcher pup trumps whenever he goes down the stairs. He’s not fussed if someone happens to be walking behind him. 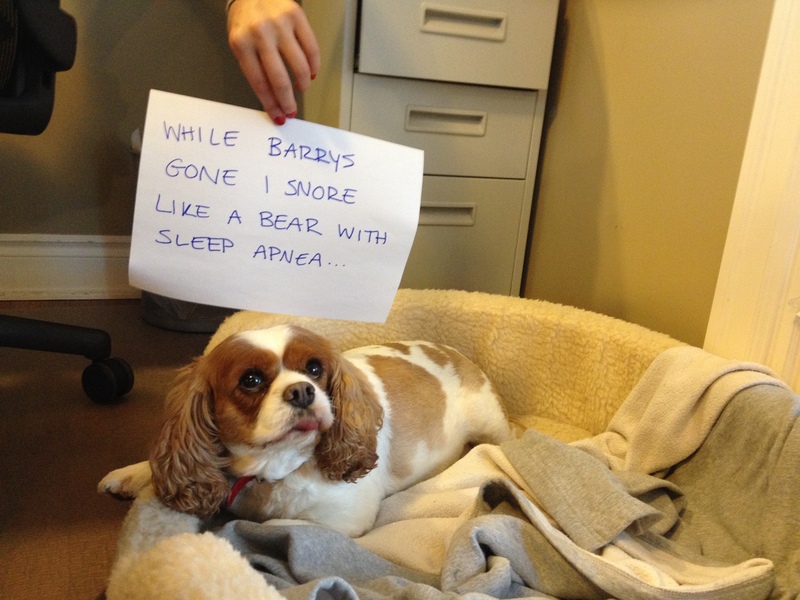 Posted March 24th, 2015 by dogkeeper & filed under Bad Babysitter, Best Friend Betrayal, Disgusting Doggies, Farting Furballs, Submitted. When I sleep I get so relaxed I fart. I smell so bad I made my little human throw up all over her bed. 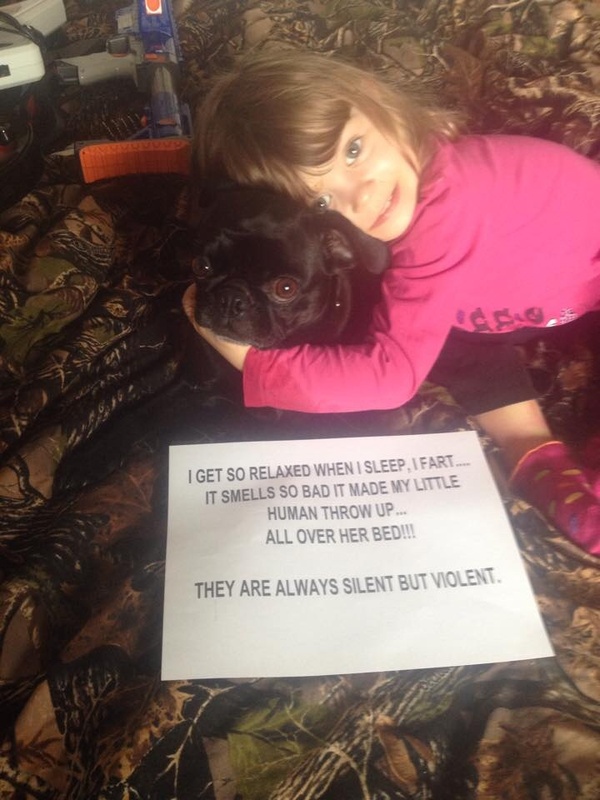 They are silent but violent. Posted January 13th, 2015 by & filed under Farting Furballs, Submitted. Our female Blue Healer has in my opinion, Farts that could be used as a weapon of mass destruction. 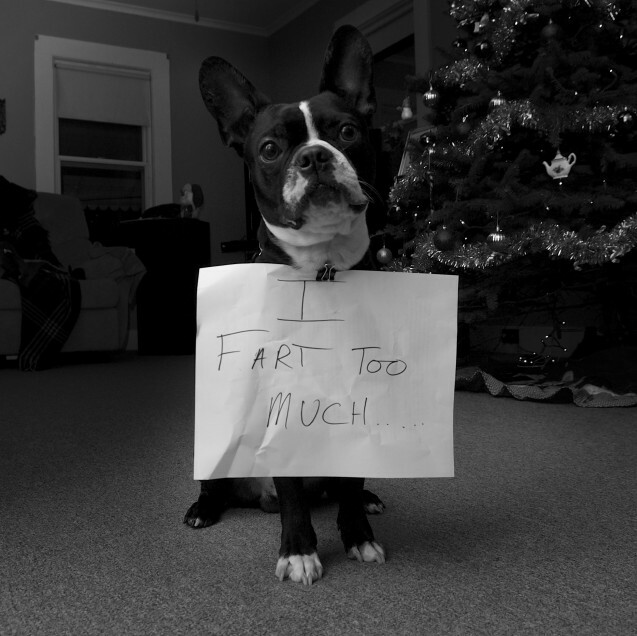 We live in the south, and we keep telling our female dog that she is to fluff, not fart, but they are toxic. Posted January 4th, 2015 by & filed under Farting Furballs, Submitted. Teddy farted so many times I had to leave the room numerous times. Posted December 3rd, 2014 by & filed under Farting Furballs, Submitted. Posted October 16th, 2014 by & filed under Farting Furballs, Submitted. I fart and startle myself. 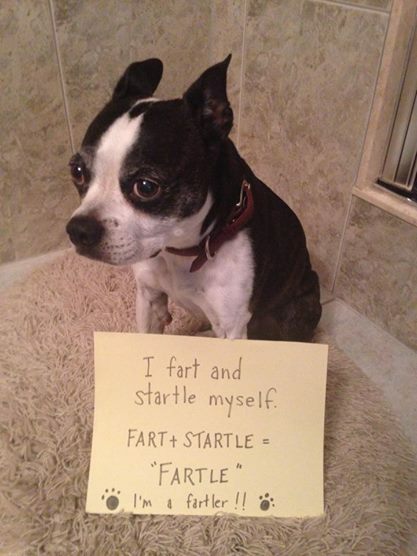 Fart + Startle= “Fartle”. I’m a Fartler! Dolly tries his best to take a nap but is always awoken by the trumpeting of his own rear end which always wakes him with a startle. 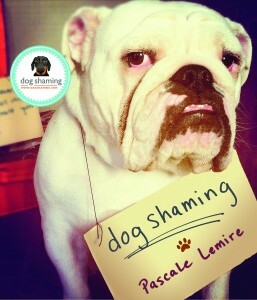 We coined the term “Fartle” for him because he does it constantly! Posted October 9th, 2014 by & filed under Farting Furballs, Submitted. 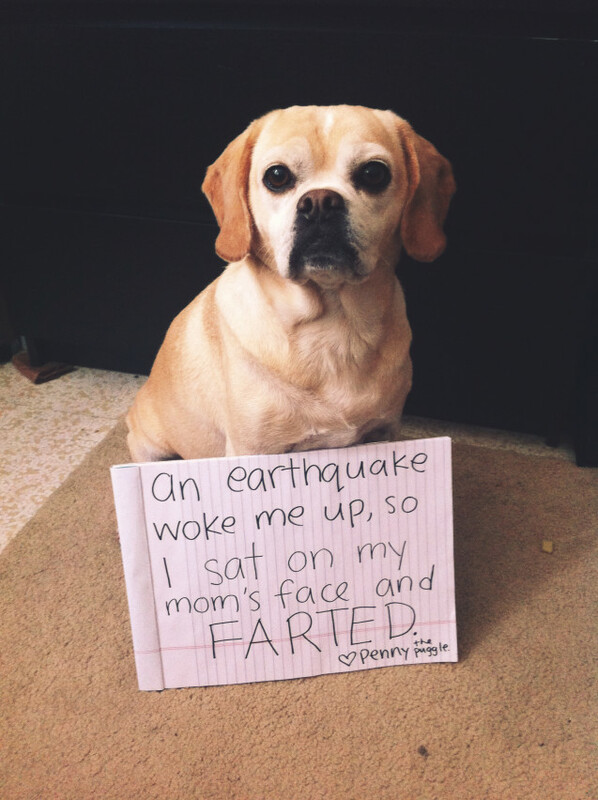 Penny thought the most appropriate method to alarm her sleeping human about the 6.1 earthquake was to jump on her face and let out the deadliest of farts. 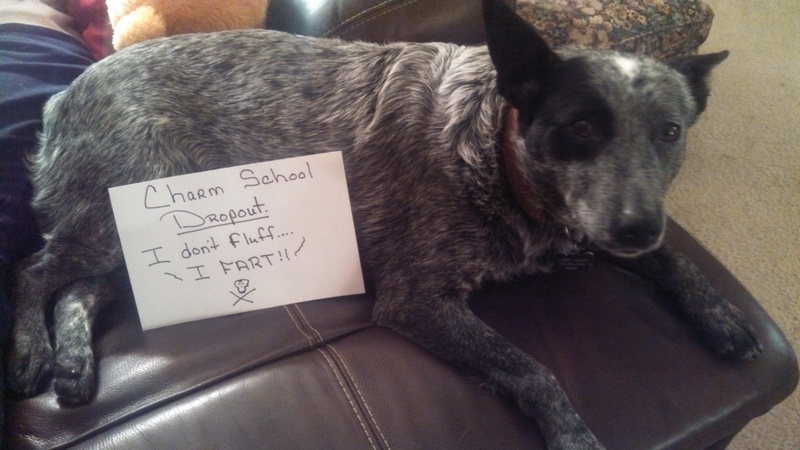 Posted September 18th, 2014 by & filed under Farting Furballs, Submitted. Moly sits under my desk and snores ALL DAY LONG!!! Get a loaf of this guy! PEE-YEW!! 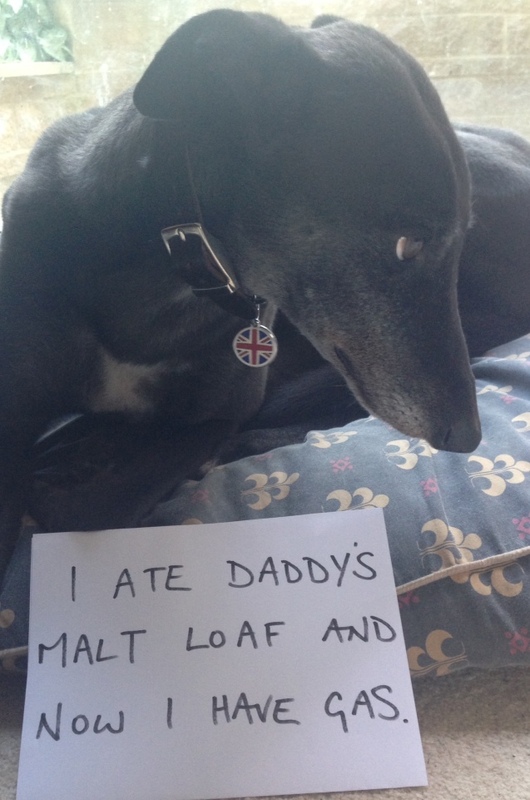 Posted September 8th, 2014 by & filed under Bad Bakers, Farting Furballs, Pilfering Pooches, Submitted. Posted August 20th, 2014 by & filed under Farting Furballs, Submitted. 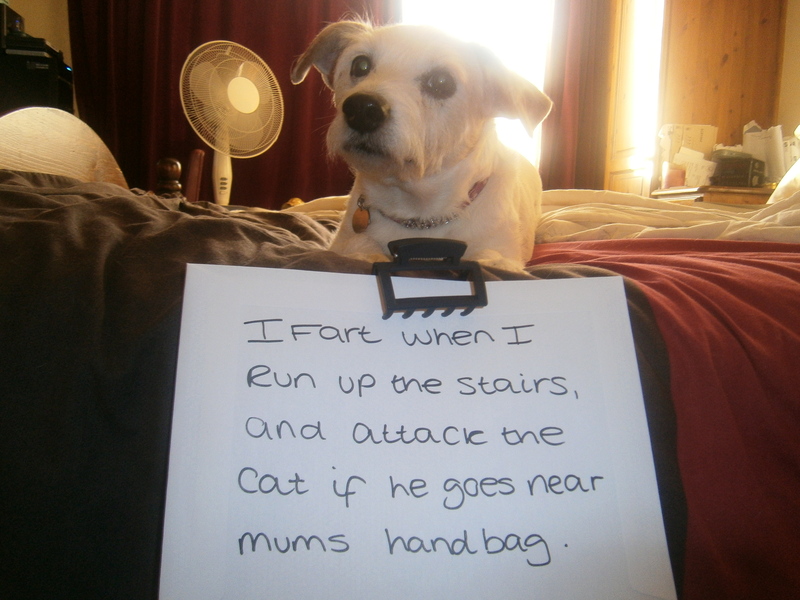 I fart when I run up the stairs and attack the cat if he goes near mums hand bag!